A funny short book to ensure that reading spells good times! Chuckle along as SpongeBob remembers the best times he’s had with all his friends in Bikini Bottom. Specially created for beginners, this colourful Ready-to-Read tale is a comical delight. 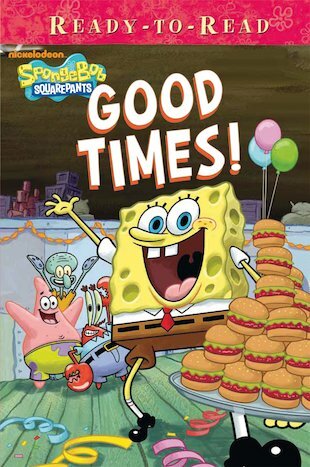 The simple text is complemented by full-page colour pictures and a lively story to whip up enthusiasm – the perfect recipe to keep SpongeBob’s little fans reading on.